Fitting out your office or reception area is not a task you will tend to carry out often. It can be expensive or worst still costly if you decide on using inferior quality furniture. A lot of businesses tend to go with a bespoke solution as it offers a lot more benefits than shopping around different suppliers mixing and matching furniture, hoping that all the elements will come together in harmony. 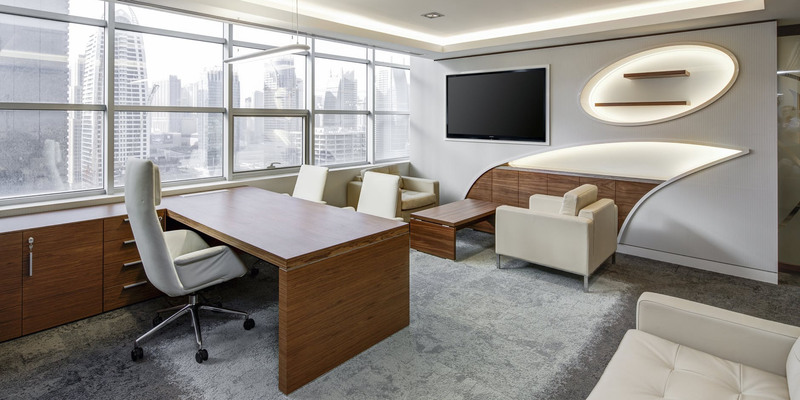 So, now that you have decided to call in a specialist company to create your bespoke office furniture, how can you avoid some of the common pit falls that will turn your dream space into an ongoing nightmare? We have got the following 5 tips together which will hopefully arm you with the right knowledge and make you aware of what you should be looking out for. Your bespoke furniture, whether it be in the office or reception area, is hopefully going to last you a long time. It needs to not only look stylish but also needs to be hard wearing. Unfortunately, not all your staff will take as good care of your furniture as you will. It is important you speak to your supplier and ask them what type of materials they recommend and why they have gone for that recommendation. Sure, top quality materials may end up costing you a little more initially, but it will cost more in the long run if your furniture needs to be replaced after a few years. Don’t scrimp too much initially, quality is important. A reputable bespoke furniture provider, like E&M Services will be able to work towards your budget and if you want something that is impossible to achieve, they will advise accordingly and try and find a suitable solution. The whole point in commissioning a professional company is that they will make the best use of your space available. They will avoid your space looking too cramped or sparse. This is where their design experience comes into play. Not only will it mean that you will end up having a fantastic space, but you will also know that every item will work well together and maximise the full potential of your space. As your bespoke furniture will come with a guarantee valid for a certain period, the one thing you want to make sure is that you supplier is reputable. If they are not trading after a year of completing your work, should something not work out or end up being sub-standard, you are going to struggle to get any sort of compensation or fix. True you can never predict if a company will be gone tomorrow but have a look at their track record. How long have they been trading for and what sort of reviews do their clients leave? This information will better prepare you to make a more informed decision. As with the point above, checking your supplier’s previous work will show you the type of work they undertake, what clients think of their work and what style the supplier tends to go with. So, if you are looking at a traditional feel and the supplier portfolio is made up of mainly contemporary fittings, then they are probably not the right fit. Checking out your supplier’s previous work can also give you some ideas and further inspiration. Whilst I am not suggesting you should go and design things yourself, you should certainly have an idea of what you want and what you want to achieve with your space. Your suppliers are the experts and they will come up with the correct solution, but if you are to maximise their expertise you need to provide them with an outline of what you want and how you think the space could look. Work with your supplier and help them take the guesswork out of what you are after. E and M Services supply and install bespoke office & reception furniture. Our decades of experience in design and installation means that we can assist our clients to choose the right products for the job. As we are one of Coventry’s longest established flooring & furniture contractors you can rest assured we will be there for you during the lifetime of your product’s warranty. Trading since 1988, we rely on our reputation to help our business to grow from strength to strength.